Follow the fun! 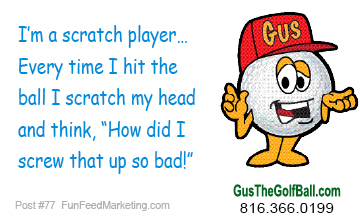 Gus tells a different golf joke every day on his Facebook page. Buy our funny golf t-shirts at our zazzle store. Buy Life’s Short Swing Hard golf prizes and apparel at our cafepress store.